Leave your wallet at home and grab a customized iPhone 6 PLUS & 6S PLUS wallet case. All your important cards and cash stored in the inside of your case. Your photo printed straight on the front of the case. Add a new level of functionality to your iPhone 6 or 6S Plus! 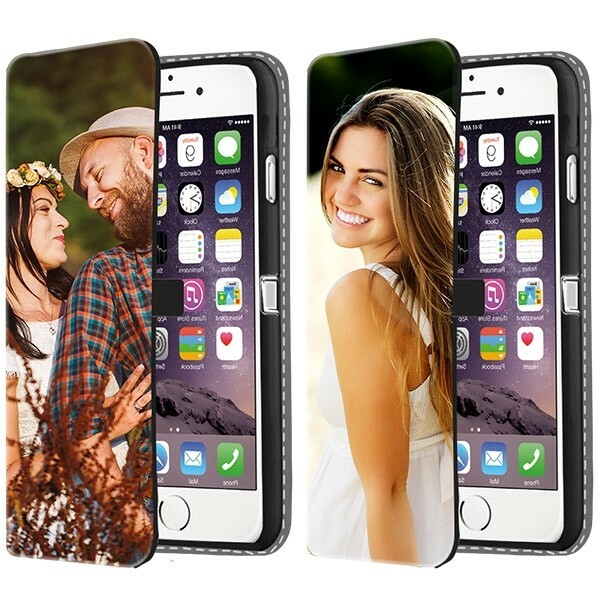 Looking for a practical yes stylish case for your iPhone 6 or 6S Plus? Then you have come to the right place. GoCustomized offers a specialized leather wallet case for your device that works as a canvas for your personal design and has many additional functions. The case has 3 handy card slots and a money slot for bills. The wallet case is made with a high quality black leather which protects your entire device. 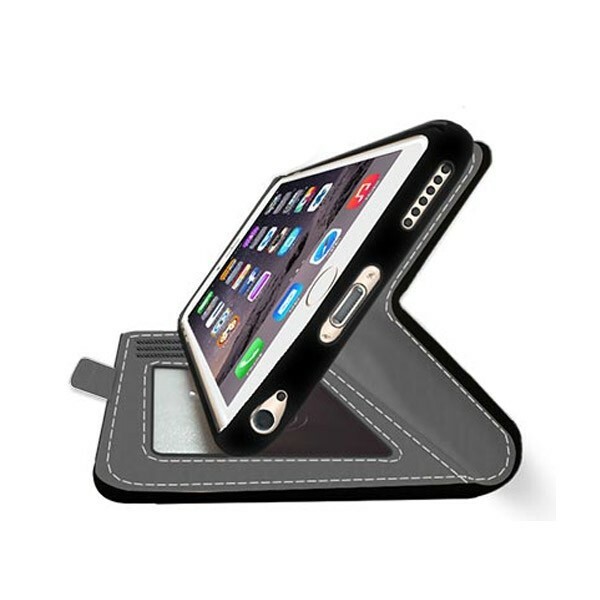 There is a handy magnet closing system which keeps the case securely fastens to your device. The front of the case has a unique canvas layer which is ideal for printing. Your design will be printed on the entire front of the case. 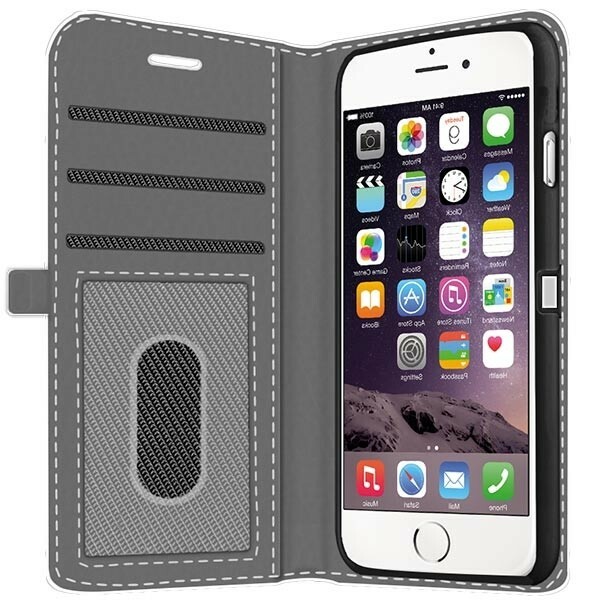 If the wallet case what you are looking for, check out our wide range of other custom iPhone 6 Plus cases! After you have selected your case type, you will be redirected to the design module. In the design module we have developed many handy tools which make it easy for your to design the perfect iPhone 6 Plus case. Start by uploading one of your favourite images to the design module. You can upload your images from your computer, tablet or smartphone in addition to uploading straight from Facebook & Instagram. You can add a piece of personal text using our text module. There are many colours and fonts to choose from! When can I expect to recieve my case? As soon as we have received your design, one of our specialists will get started straight away working on your case. Each and every single case is made one by one here at a our production department. We ensure that your case is on its way to your within 24 hours of purchase. If your have any questions regarding your order, feel free to contact us at any time by email at support@gocustomized.com!